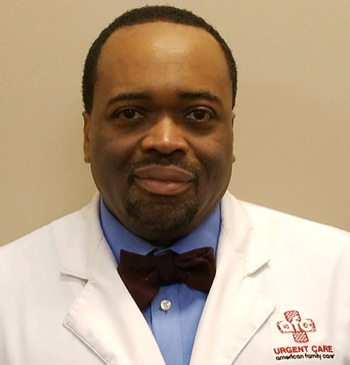 Dr. Avery Browne, the Medical Director of AFC Urgent Care Centers in West Orange NJ, South Plainfield NJ and Cedar Grove NJ joins eHealth Radio and the Health Care Channel. Dr. Browne is board-certified in Family Medicine and licensed to practice in New Jersey and New York. Urgent Care centers have been around for a few years, but AFC Urgent Care is truly different. Can you explain what sets your centers apart? What are some of the things you can treat at the AFC Urgent Care centers? You say it’s less expensive than going to an ER. Can you tell us about that? Can you list some of the conditions you treat? Are there ever conditions when you should not go to an urgent care center? Dr. Avery F. Browne, D.O. is the Medical Director of the AFC® Urgent Care Centers in West Orange and South Plainfield. He is board-certified in Family Medicine and licensed in New Jersey and New York. Prior to joining AFC®, Dr. Browne served as an Attending Family Practice Physician at Montefiore Medical Center in the Bronx; a faculty member of the Albert Einstein College of Medicine; and a house physician at Christ Hospital in Jersey City. He currently serves as a team physician for all athletic programs at William Paterson University in Wayne, NJ; a ringside physician for USA Boxing and NY/NJ State Professional Boxing; and is a member of the NJ and NY State Athletic Commissions. Dr. Browne completed a fellowship in Sports Medicine at the Overlook Hospital in Summit NJ. He completed his residency in Family Medicine at the University of Medicine & Dentistry of New Jersey’s School of Osteopathic Medicine in Stratford NJ where he served as Chief Resident at Barnert Hospital. Dr. Browne holds a D.O. degree from the New York College of Osteopathic Medicine, prior to which he studied biological sciences at Rutgers University and obtained a bachelor’s degree in mechanical engineering from the New Jersey Institute of Technology.